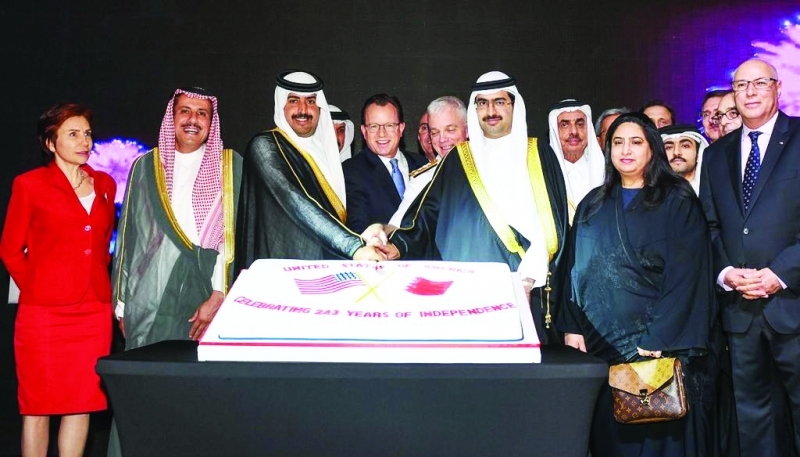 HRH Prime Minister Prince Khalifa bin Salman Al Khalifa yesterday delegated Shaikh Khalifa bin Rashid Al Khalifa and Southern Governor Shaikh Khalifa bin Ali Al Khalifa to attend a celebration hosted by US Ambassador to Bahrain, Justin Siberell, to mark America’s 243rd Independence Day. Shaikh Khalifa bin Rashid and Shaikh Khalifa bin Ali conveyed greetings and congratulations of HRH the Prime Minister to Leadership, government and people of the United States of America, wishing the friendly country and its people durable growth and advancement. They highlighted the depth of bilateral relations and cooperation based on mutual respect and keenness to achieve joint interests.